Juice cleanses. Are they really good for you or are they just the latest health fad? An online search brings up a lot of conflicting information from industry and health professionals alike. 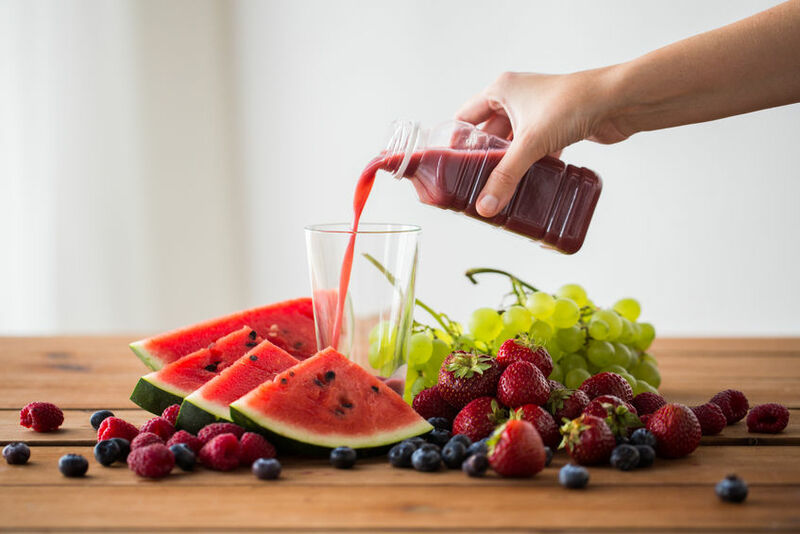 We’d like to shed some light on this interesting topic and help people understand the benefits of juice cleansing.A juice cleanse is normally for a maximum of 10 days. This short period of time doesn’t qualify it to count as a dietary change. In this article, we explore the benefits of juice fasting. We also look into 3 of the most common myths about juice cleanses. Juice fasting has some great benefits for your health - improving cardiovascular health and blood pressure, for a start! Micronutrients are essential nutrients for our bodies. They are especially involved in enzyme function, development, immune function, and overall well-being. You can’t get too many micronutrients, and they’re so good for you! That’s why doctors and scientists recommended boosting up on them as much as possible. In fact, the authors of the study had some pretty strong advice. According to their results, which included data on over 2 million people from all around the world, as many as 7.8 million deaths could be prevented by consuming 800grams of fruit and vegetables per day. The results showed that, while 5 servings a day are good, 10 servings are far better! Of course, eating that many fruits and vegetables a day is not only difficult but borderline impossible for some people! This is where juicing comes in. You can quite easily get all the 10 servings of fruits and vegetables into two juices through the day. The result is a concentrated green elixir of life. Pro number 3 – what a great point! Fruits and vegetables are completely void of fat. Well, almost. Some fruits like avocados are actually pretty high in omega-3 oils, which are technically fats. We can quickly gain a very basic understand of the nature of fats and we’ll understand that any fat from fruits and vegetables is good fat! That being said, most fruits and vegetables contain barely any fat whatsoever. So if you’re looking to lose weight, a juice cleanse is a great option. Fasting has been used as a healing technique for thousands of years. In fact, if you consider the animal kingdom, no animals eat when they are sick. So, it might even be safe to say that the practice of fasting for health has been going along for millions of years! Therapeutic fasting has been used for centuries. Despite the age-old knowledge of the power of fasting in healing, we are not given much information about this from our current medical system. That being said, it’s hard to find a place for fasting in a profit-based pharmaceutical system. Simply put, you can’t make much money from people who aren’t eating anything. The benefits of fasting are so powerful that we can barely even touch on them in this short article. Fasting means refraining from eating food. A juice cleanse definitely counts as a fast – but you get the added benefits of micronutrients. Let’s face it, fasting for two days isn’t going to get you to lose any weight. Push it to ten days and you might be looking at some weight loss. Get to 40 days and you’re on a roll! The main way that juicing can help you lose weight is actually through the after-effects of the cleanse. Doing a 5-day ‘detox’ with a juice cleanse is great. But if you go straight back to the negative dietary habits that you had before, it’s a little pointless. A juice cleanse can be thought of as taking a plunge into the deep end. You’re not slowly changing your diet - you’re jumping right in by quitting all food and getting an extremely high dosage of micronutrients to kick-start your immune system. However, this is just the beginning. Once you’ve completed the cleanse it may be easier to transition to a healthy diet because well, if you can stop eating altogether for a few days, you’ve already proven to yourself that you’ve got what it takes to make fundamental changes to your diet. A juice cleanse is a great way to kick-start a healthier diet and a better you! Yes, juices are high in sugar. Fruits have a high sugar content – hence their sweet flavor. Juicing fruits means that you get all the nutrients in liquid form, including the sugar. But before we condemn juice cleansing as being an overdose of sugar, it’s important to understand that – like fats – there are different type of sugars. Furthermore, when creating a fruit/vegetable juicing recipe, it is important to have a good mix of fruits (relatively high in sugar) and vegetables (relatively low in sugar). This, along with added water, dilutes the natural sugar in the drink and prevents the possibility of putting additional pressure on your liver. Dietary fiber is an important part of your food. Fiber is also known as ‘roughage’ and is not absorbed in your intestines. Instead, fiber passes through your gut and helps to prevent and relieve constipation. Soluble fiber: Soluble in water, helps to lower cholesterol and blood glucose levels. Found in oats, peas, apples, nuts, beans, lentils, and citrus fruits. It’s true that juicing removes most of the insoluble fiber from the fruits and vegetables. However, the soluble fiber remains. If you are very concerned about fiber intake during a juice cleanse it is recommended that you eat some chia seeds or psyllium husks during the cleanse. These will not affect the outcome of the fast but will add some insoluble fiber to your nutrient intake. Once you’ve finished the cleanse and are back on food, you can continue to make fresh juices with high nutrient concentrations. You can also utilize the insoluble fiber-rich pulp that remains in your juicer. Pulp can be added to soups, smoothies, muffins, vegetarian burger patties, and many more recipes! Juicing certainly does have scientifically verified benefits. However, it is recommended to talk to your doctor if you have any underlying health conditions before starting a juice cleanse. This is especially true for older women with thyroid issues. A 2010 study found that adding 1-2 cups of vegetable juice to your diet is a healthy and effective way to increase your phytonutrient and micronutrient intake. 162 people took part in the study, and almost all of them had below-par micronutrient intake before the study began. There is definitely a need for more research and more studies to examine the benefits of doing juice fasts. However, the benefits of fasting have been verified, as have the benefits of adding concentrated fruit and vegetable juice to your diet. So now there is just a need for more scientists to do more research bridging the two! One great way to boost the phytochemical content of a juice cleanse is to add water-soluble supplements to your juices. Juice cleansing is a combination of fasting and drinking nutrient-packed fruit and vegetable extracts. Most juice cleanses last around 3 days; some go on for much longer. Juice cleanses are a great way to kick-start healthy eating habits and boost your micronutrient levels. Micronutrients are essential for your health and wellbeing and include vitamins, minerals, and phytochemicals. Anybody can go on a juice cleanse and the benefits of fasting have been known for millennia. Drinking fruit or vegetable juice is healthy and has scientifically verified benefits, especially on blood pressure and cardiovascular health. Many phytonutrients also act as potent antioxidants. Importantly, recent studies have shown that a 2-4-day fast can literally reset your immune system. You can also add a number of dietary supplements to your juice cleanse. Take a look through our catalog of dietary supplements to find ones that suit your needs most. MP Iqbal, “Trans fatty acids – A risk factor for cardiovascular disease”, Pak J Med Sci. 2014 Jan-Feb; 30(1): 194–197. Michalsen A, Li C. “Fasting therapy for treating and preventing disease - current state of evidence”, Forsch Komplementmed. 2013;20(6):444-53. Cheng, Chia-Wei et al. “Prolonged Fasting Reduces IGF-1/PKA to Promote Hematopoietic Stem Cell-Based Regeneration and Reverse Immunosuppression.” Cell stem cell 14.6 (2014): 810–823. PMC. W Van Daele, “Desiring foods: Cultivating non-attachment to nourishment in Buddhist Sri Lanka”, Appetite. 2016 Oct 1;105:212-7. “Fat Detection: Taste, Texture, and Post Ingestive Effects”, by Adam Drewnowski and Eva Almiron-Roig, Chapter 11: Human Perceptions and Preferences for Fat-Rich Foods, Montmayeur JP, le Coutre J, editors. Boca Raton (FL): CRC Press/Taylor & Francis; 2010. NM Avena et al., “Sugar and Fat Bingeing Have Notable Differences in Addictive-like Behavior”, J Nutr. 2009 Mar; 139(3): 623–628. R Huber et al., “Effects of one week juice fasting on lipid metabolism: a cohort study in healthy subjects”, Forsch Komplementarmed Klass Naturheilkd. 2003 Feb;10(1):7-10. SF Shenoy et al., “The use of a commercial vegetable juice as a practical means to increase vegetable intake: a randomized controlled trial”, Nutr J. 2010; 9: 38. SM Chacko et al., “Beneficial effects of green tea: A literature review”, Chin Med. 2010; 5: 13. NR Srinivas, “Baicalin, an emerging multi-therapeutic agent: pharmacodynamics, pharmacokinetics, and considerations from drug development perspectives”, Xenobiotica. 2010 May;40(5):357-67. YJ Xu et al., “The potential health benefits of taurine in cardiovascular disease”, Exp Clin Cardiol. 2008 Summer; 13(2): 57–65. SH Ziesel, KA da Costa, “Choline: an essential nutrient for public health”, Nutr Rev. 2009 Nov;67(11):615-23. US Schwab et al., “Effects of hempseed and flaxseed oils on the profile of serum lipids, serum total and lipoprotein lipid concentrations and haemostatic factors”, Eur J Nutr. 2006 Dec;45(8):470-7. Epub 2006 Nov 10.